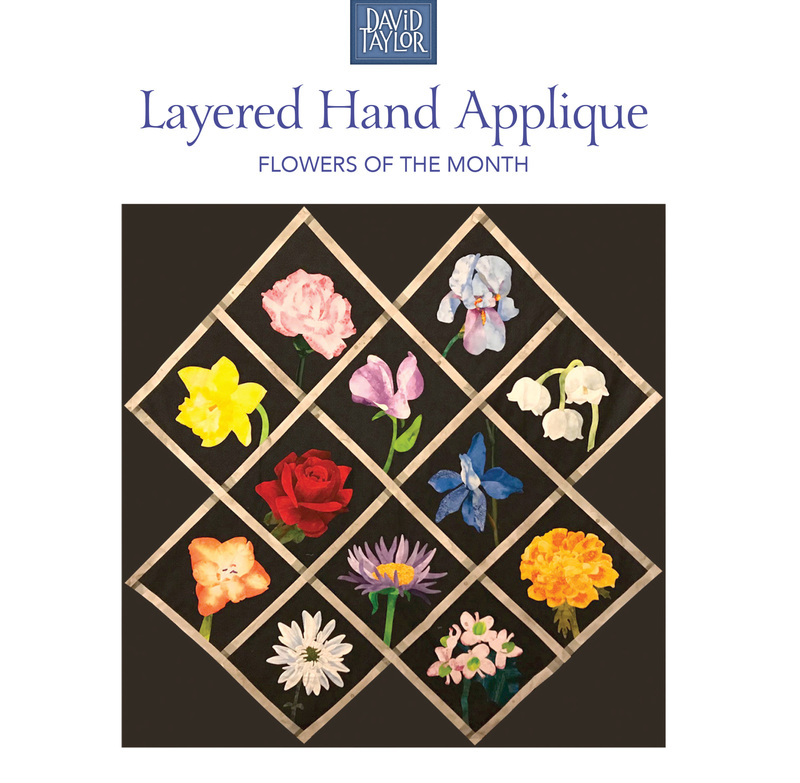 Join David Taylor for his Layered Hand Appliqué workshop. This workshop demonstrates his layered, hand-appliqué technique with simple appliqué shapes using freezer paper templates and liquid starch. The class will cover how he builds his pictorial wall quilts and how to get beautiful details by letting the fabric choices do all the hard work. Bring a variety of pre-washed fabrics with printed textures and blending patterns to create a flower in the color of your choosing. A single pattern is $10 and is included in your class fee.